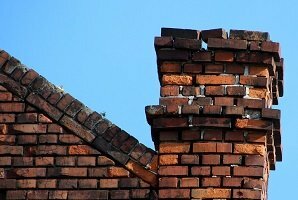 Cracks around your home, whether it be in the basement, on the walls, floors, or ceilings, or on your chimney, can cause leakage. These cracks can be caused by a multitude of things like foundation damage causing upper walls to become cracked, roots from trees entering the home through the foundation walls, water damage, and more. After the cracks are formed, they are open to the elements and to bugs and other pests. Water will seep through most cracks if they are not sealed and the issue underneath resolved. This is why as a home or business owner it is wise to keep tabs on cracks around your building. If you notice cracks beginning to form, do not wait for them to get worse. There could be an underlying problem such as foundation failure or water damage. Foundation failure, like bowing walls, usually causes cracking throughout your home, along with many different problems such as sticking doors and windows, sinking and settling foundation, and leaning chimney. If you are experiencing any of these problems your underlying cause could be an underlying foundation issue, and that’s why it’s unwise to “D.I.Y.” and end up with crack repair but the underlying issue unresolved. In this case, your home or business may be in need of foundation repair, along with the possibility of waterproofing. Luckily, we offer both waterproofing and foundation repair solutions. These are the tools and processes that will help you keep your home safe from further and future foundation failure, and which is chosen will depend on what our contractors determine is the best fit for your specific issue. Not only will it help prevent future damage, it will help to repair the current problems your home or business may be experiencing. Once again, fixing the leak may not be the real way to resolve the issue. it can solve what’s immediately happening, but you will have the issue keep coming back because the real issue was not resolved. 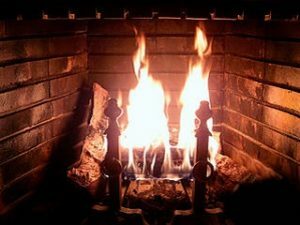 This is why a dual approach of crack repair and foundation repair is the best way to resolve fireplace leaks. We here at Reliable Waterproofing and Masonry want to help you keep your home safe from foundation failure and water damage. Give us a call today to learn more about our waterproofing, masonry, and foundation repair services, our service area, or for a free estimate. We are ready to help you in any way we can. Contact us today!